Improve the health of your Thyroid. 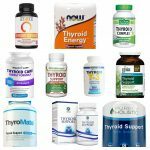 Can thyroid supplements help? Are they risky? 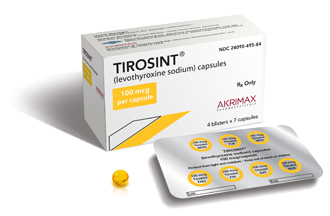 Also known as Levothyroxine Sodium, Tirosint is a gel cap intended for the treatment of Hypothyroidism. Known for its ‘purity’ and ‘consistency,’ it aims to stand out from all other medications intended to treat thyroid problems. Tirosint was created by Akrimax Pharmaceuticals in Switzerland primarily with the patients’ safety in mind. Unlike other Levothyroxine preparations, Tirosint claims it is ‘pure’ – meaning it only contains Levothyroxine, water, gelatin, and glycerin. 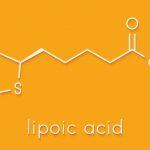 Initially approved for use in the United States in the year 2000, it is devoid of sucrose, gluten, lactose, and food dyes – just some of the additives that cause allergies to 15% of every 1000 individuals. It commonly occurs in women and individuals aged 40 and above. 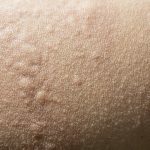 Signs and symptoms include slow heart rate, cold intolerance, hair loss, fatigue, weakness, constipation, cold intolerance, deafness, hoarseness of voice, dry skin, and menstrual problems. A condition in infants known to affect intellectual development, maturation, and physical growth, it is characterized by a partial or complete loss of thyroid gland function. This can sometimes occur alongside other conditions such as the Bamforth-Lazarus syndrome or the Pendred syndrome. This ailment can be brought about by Hashimoto’s Thyroiditis, Radiation Therapy, Thyroidectomy, Iodine Deficiency, and intake of Lithium and Amiodarone, among other causes. This form of hypothyroidism takes place when there is a disorder of the pituitary gland. It shows low levels of TSH, T3, and T4. However, there are instances when TSH levels are normal or slightly higher. Possible causes for secondary hypothyroidism include hypothalamic tumors, sarcoidosis, or therapeutic irradiation. Similar to the laboratory findings of secondary hypothyroidism, this ailment is characterized by disorders of the hypothalamus. Radiation or tumors can account for this form of hypothyroidism. Also known as Mild Thyroid Failure, this condition is epitomized by mildly-increased TSH levels and normal levels of T3 and T4. Present in 3% to 8% of population, this condition can progress into clinical hypothyroidism. Apart from hypothyroidism, Tirosint is used in individuals to suppress the Pituitary-Thyrotropin Stimulating hormone. 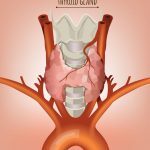 As part of treatment of well-differentiated thyroid cancer, the drug works by stopping the growth of thyroid cells after surgery and radioactive iodine therapy. Tirosint capsules are characterized as amber-colored gels placed in blister packs. The dosing is geared towards creating a ‘euthyroid’ state, where there are normal levels of thyroid hormones in the body. For adults, the prescribed dose is 1.7 mcg per kilogram per day. In elderly people, dosage is decreased to less than 1 mcg per kilogram per day. However, in geriatric patients with existing heart conditions, the dose can go as low as 12.5 mcg per day. Increments shall be done after 6 to 8 weeks as determined by the physician. As for children aged 6-12 years old, the recommended dose is 4-5 mcg per kilogram per day, while those 12 years old above with incomplete puberty are prescribed Tirosint at a rate of 2-3 mcg per kilogram per day. In children with severe or chronic hypothyroidism, the pediatrician will prescribe a dose of 25 mcg per kilogram per day. It is then increased with another 25 mcg every 2 to 4 weeks until the desired outcome is attained. Tirosint should be taken daily, 30 minutes or an hour before breakfast. To achieve optimum results, store your Tirosint capsules at around 25 C/77 F, away from moisture, light or heat. Remember NOT to crush or cut your Tirosint tablet in half. In the event that you or your child is unable to swallow Tirosint soft gels, ask your physician if he can prescribe Tirosint-Sol, an oral solution, instead. To take this medication, squeeze packet contents to a glass of water. Stir well and drink immediately. Add more water to the glass in order to obtain remaining Tirosint-Sol contents in the glass. Tirosint-Sol can be taken without water as well, all you need to do is squeeze the contents directly into your mouth. Thyroid hormone therapy is usually long-term. Unfortunately, prolonged use of Tirosint leads to increased bone resorption. This results in decreased bone mineral density, especially in post-menopausal women, who are highly affected by Hypothyroidism. A study by Karimifar et al showed that hypothyroid women who were treated with Levothyroxine and had reduced TSH levels showcased higher incidences of osteoporosis. So, if you belong in this patient bracket, your physician will prescribe the lowest dose that will produce positive results. Again, Tirosint should be taken cautiously by elderly people or those with heart problems as it can lead to the development of angina or irregular heart rhythms. Start with the lowest dose and have your treatment monitored closely, especially if your cardiac symptoms are aggravated or if you are about to undergo a surgical operation. While Tirosint is safe to be taken during pregnancy, women contemplating of childbearing will most likely have their dosages increased. However, those nursing should take Levothyroxine with caution as it can be passed through the infant through breastmilk. Tirosint supplies the body of its needed thyroid hormone through its absorption in the gastrointestinal tract, specifically the jejunum and the upper ileum. The Levothyroxine present in the medication enters the nucleus of the cell, and binds to DNA-attached receptor proteins. These activities then lead to gene transcription, as well as the synthesis of cytoplasmic proteins and messenger RNA. To determine the effectiveness of Tirosint therapy, which usually takes 4 to 6 weeks after treatment, patients should undergo laboratory exams and clinical evaluation as often as needed. Adults prescribed with Levothyroxine are asked to undergo TSH assays every 6 to 8 weeks until levels are normalized. Additionally, your physician might require you to undergo additional tests according to the cause of your thyroid disease, existence of other ailments or conditions, and intake of other medications. In children, TSH assays are required 2 and 4 weeks after initial treatment. Periodic checking is required every 1 to 2 months during the first year of life, every 2 to 3 months from age 1 to 3, and every 3 to 12 months thereafter. Patients taking Tirosint are required to undergo physical exams once or twice a year. Do note that the frequency of clinic visits can be increased according to your condition or current status. Calcium tablets (Carbonate, Acetate, and Citrate). A study by Zamfirescu and Carlson explored the effects of the three formulations on Levothyroxine absorption. Results showed that all the variations decreased the body’s absorption of the drug by 20 to 25%. Similarly, food products such as dietary fiber, walnuts, soybean flour, and cotton seed meals should be taken cautiously with Tirosint as these can lower the absorption rate of the drug in the gastrointestinal tract. Another beverage that can interfere with the drug’s absorption is grapefruit juice, which delays the absorption of the drug according to a study by Lilja, Laitinen, and Neuvonen. In this study, 10 participants were tasked to drink grapefruit juice with a 600 mcg dose of Levothyroxine. Results showed that concurrent drug intake with grapefruit juice decreased T4 concentration from 66.4 to 59.4 mmol. Tirosint can also affect the potency of other drugs. Anti-diabetic drugs. 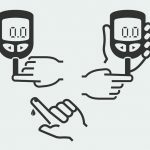 Thyroid drugs such as Tirosint have a major impact on glucose control, according to the study of Hage, Zantout, and Azar. It can lead to slower glucose production. Therefore, patients taking Tirosint should have their anti-diabetic medication doses decreased with the guidance of a physician. Oral anticoagulants. 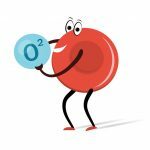 Tirosint intake can magnify the effects of blood thinners, and as such doses of the latter should be decreased if they are taken in conjunction with Thyroxine. If doses are not adjusted accordingly, bleeding events can occur. As with other drugs, Tirosint comes with some side effects. Should these symptoms take place, consult with your physician to determine if Tirosint intake should be discontinued right away. In congenital hypothyroidism, Tirosint treatment should be commenced right away. It usually lasts for the child’s lifetime. Side effects range from heart rhytym irregularities and aspiration due to avid suckling. In the case of overtreatment, craniosyntosis or a change in skull growth pattern can occur before the baby’s brain is completely formed. Other than that, severe reactions such as seizures, slipped capital femoral epiphysis, and pseudotumor cerebri can occur in children. In cases of overtreatment, premature closure of the epiphysis can take place and this can lead to stunted growth. 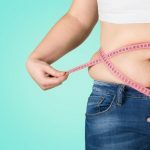 As with other Levothyroxine tablets, do not use Tirosint for weight loss effects. Safe doses in patients without thyroid problems will not yield any results. Consequently, increasing the dosage can lead to life-threatening events, especially if it is used with other medications that bring about loss of appetite. Thyroid drugs abound the market and there are so much for you to choose from. But if you want a pure and concentrated form of Levothyroxine without the usual additives, then this product should be your top consideration. Fatourechi, V. (2009). Subclinical Hypothyroidism: An Update for Primary Care Physicians. Mayo Clinic Proceedings, 84(1), 65–71. Disclaimer: None of the statements made on this website have been reviewed by the Food and Drug Administration. 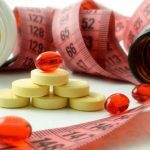 The products and supplements mentioned on this site are not intended to diagnose, treat, cure, alleviate or prevent any diseases. All articles on this website are the opinions of their respective authors who do not claim or profess to be medical professionals providing medical advice. This website is strictly for the purpose of providing opinions of the author. You should consult with your doctor or another qualified health care professional before you start taking medications or supplements. Any and all trademarks, logos brand names and service marks displayed on this website are the registered or unregistered Trademarks of their respective owners.